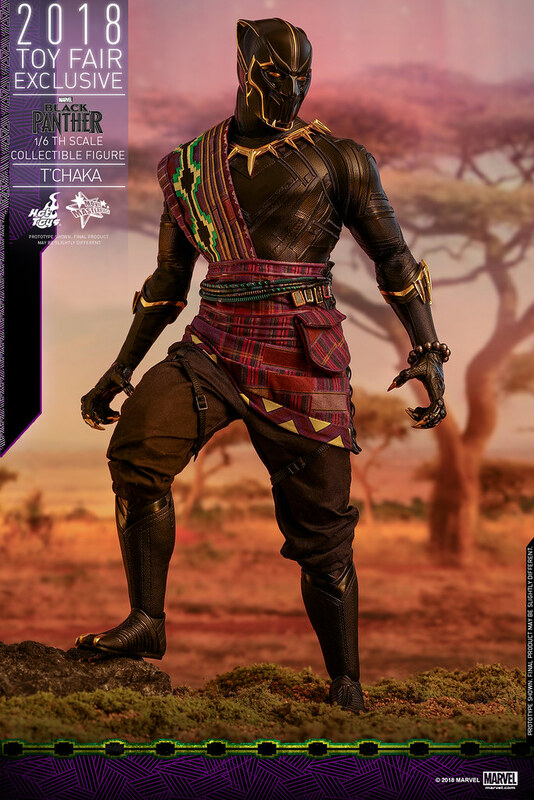 Throwback time! 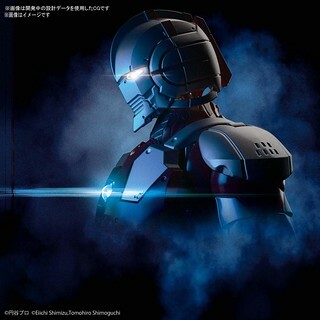 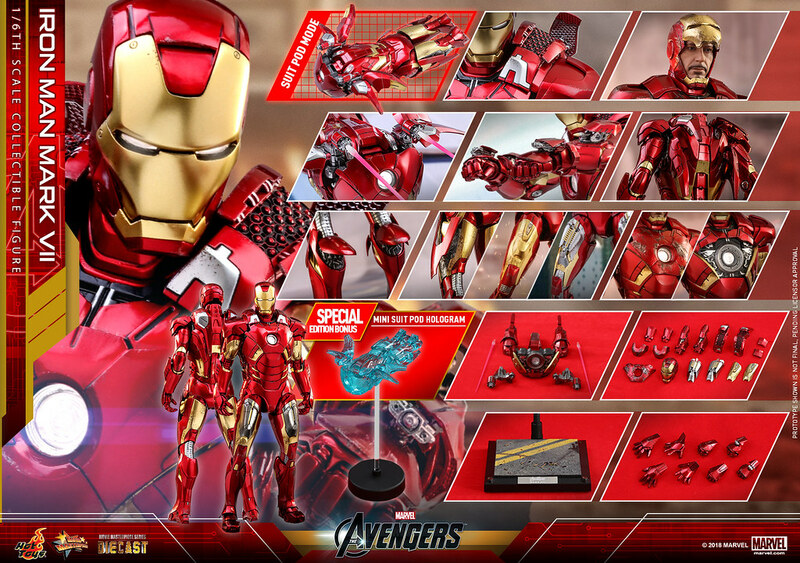 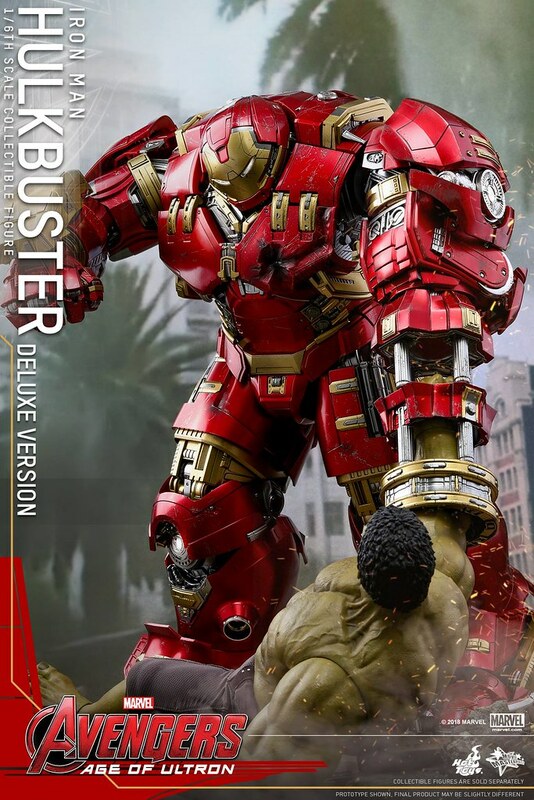 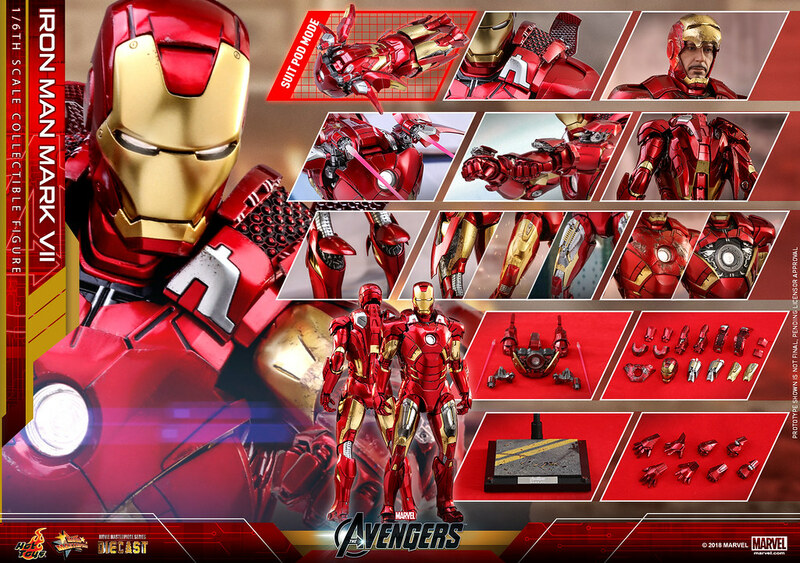 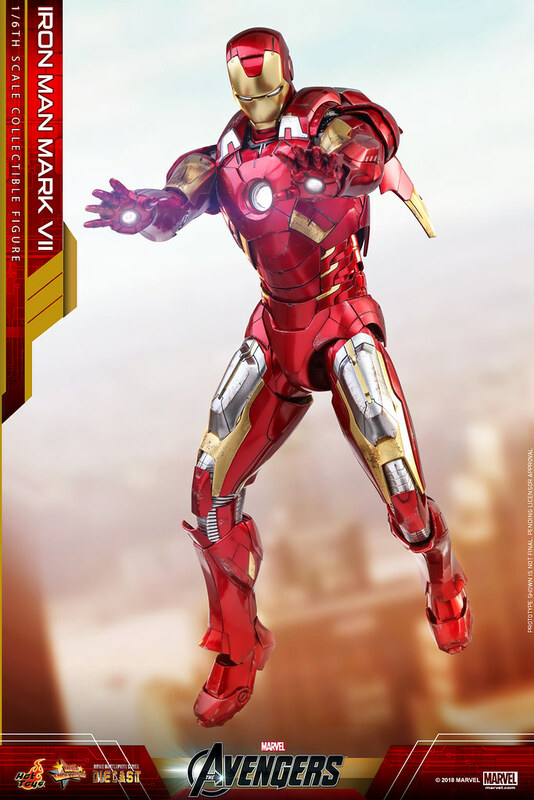 To celebrate the 500th entry in their Movie Masterpiece Series (MMS), Hot Toys presents the Iron Man Mark VII Sixth Scale Collectible Figure from Marvel's The Avengers, expected to ship Q4 2019 ~ Q1 2020! 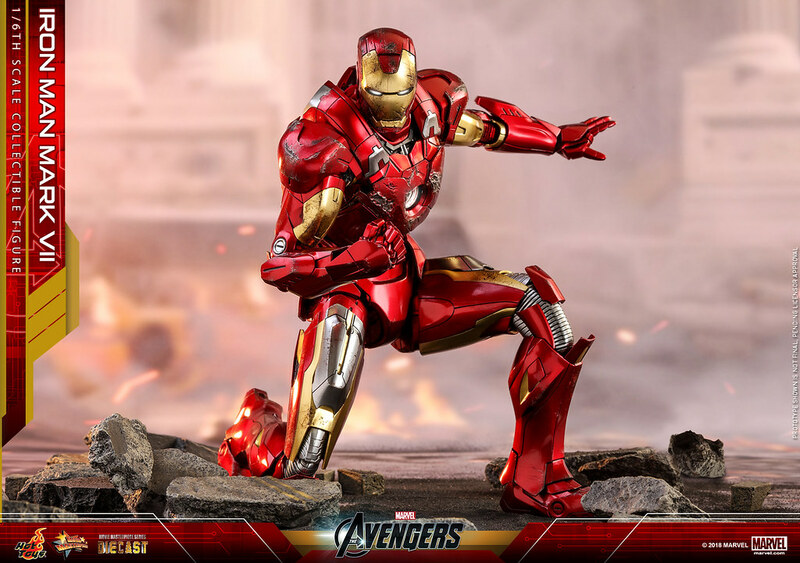 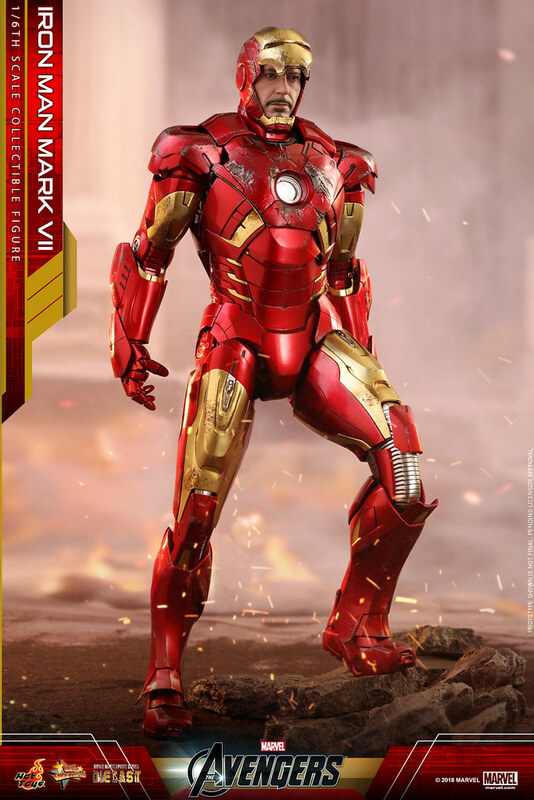 Five years have passed since the release of the last Hot Toys Mark VII armor, and now the much-anticipated die-cast Iron Man has finally arrived! 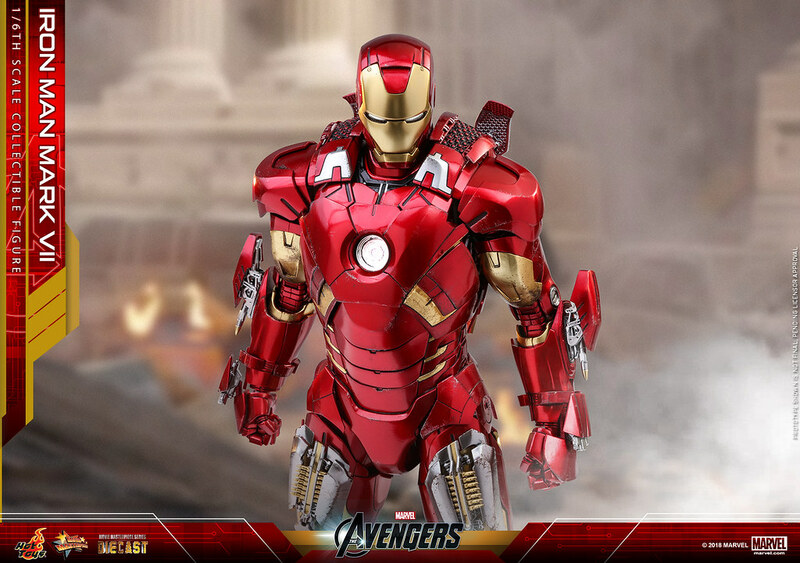 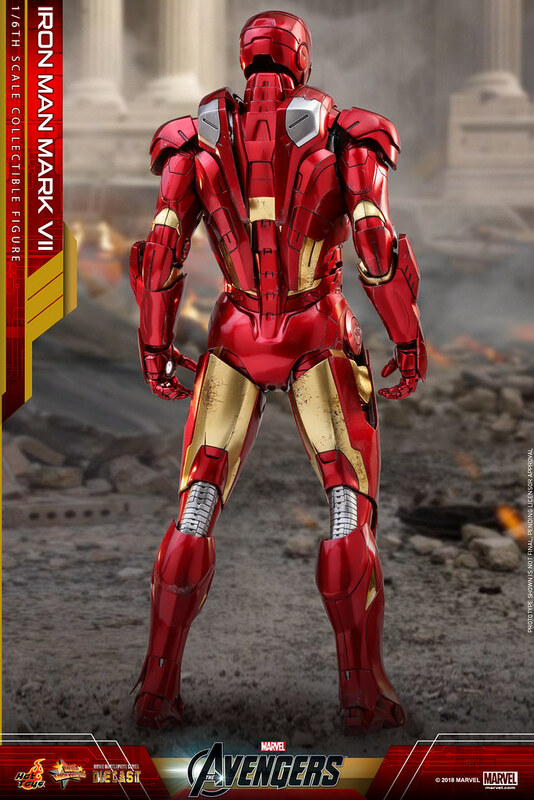 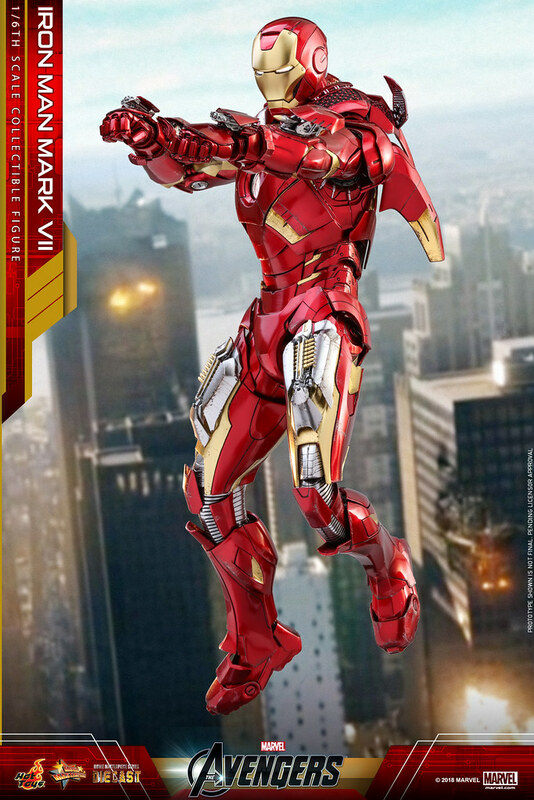 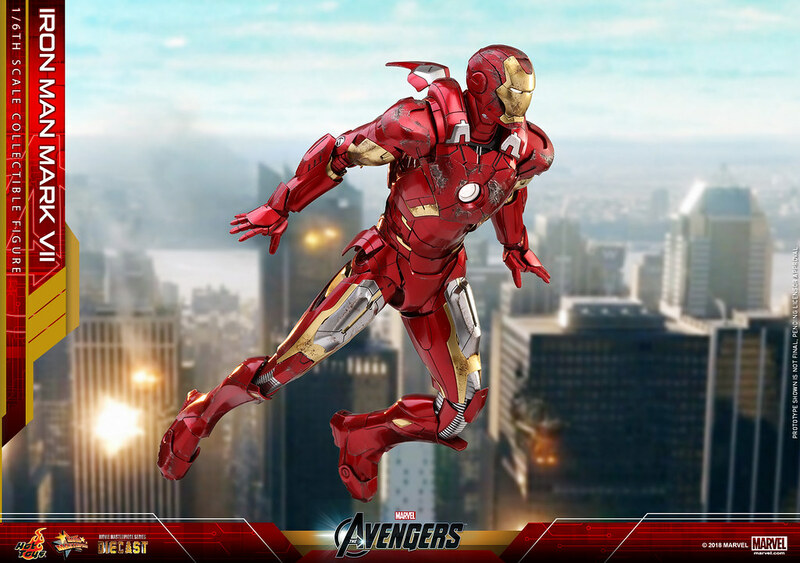 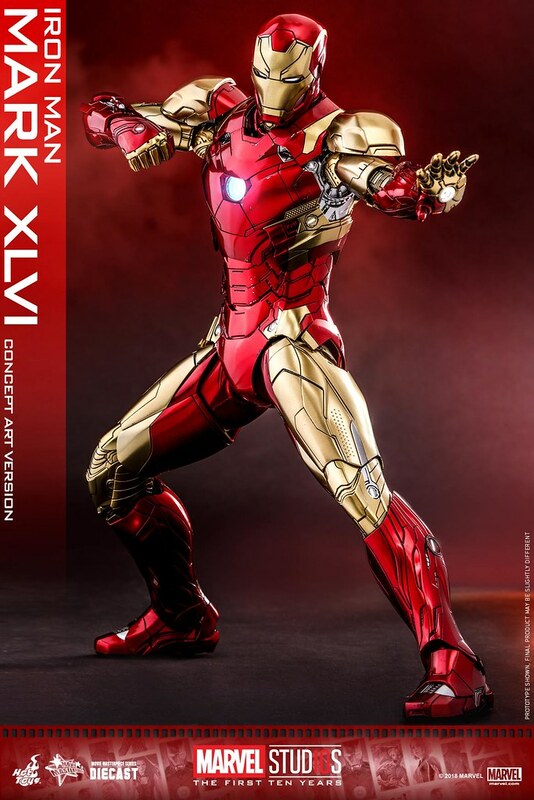 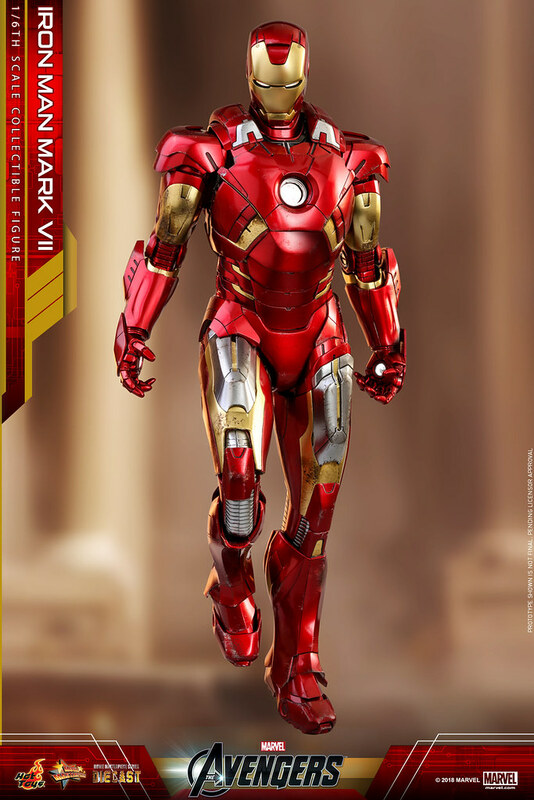 The Iron Man Mark VII armor debuted in The Avengers, returning to a circular arc reactor design with more advanced flight and weapons capabilities than the Mark VI armor. 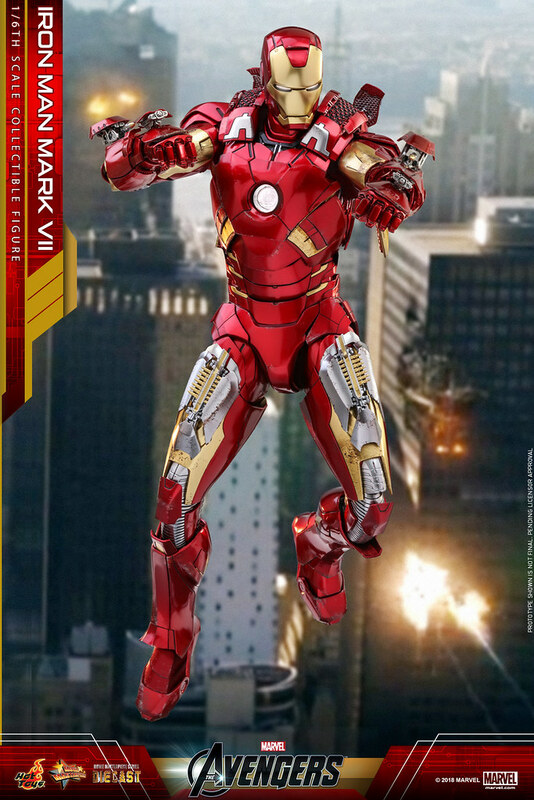 Getting himself tossed out of the window by Loki, Tony Stark is able to deploy the Mark VII armor in time, suiting up in mid-air just before he comes a puddle on the pavement. 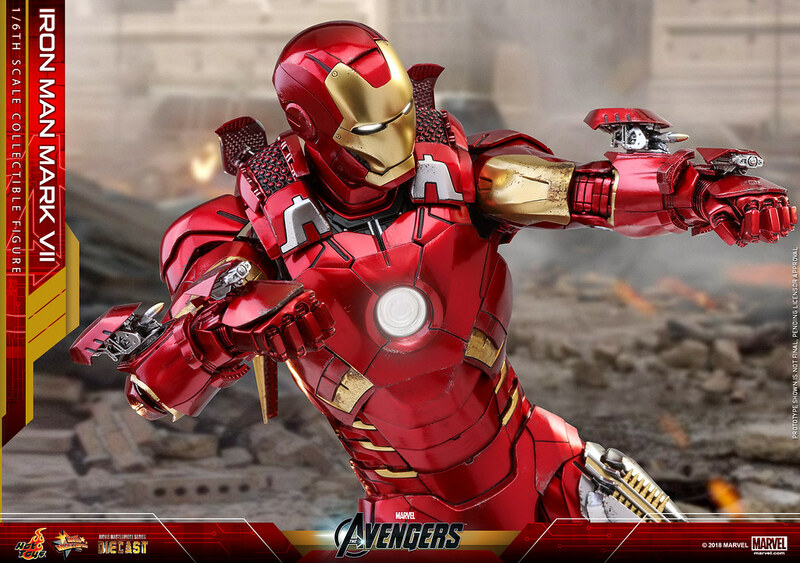 Hands down the best suit-up sequence in the entire Marvel Cinematic Universe! 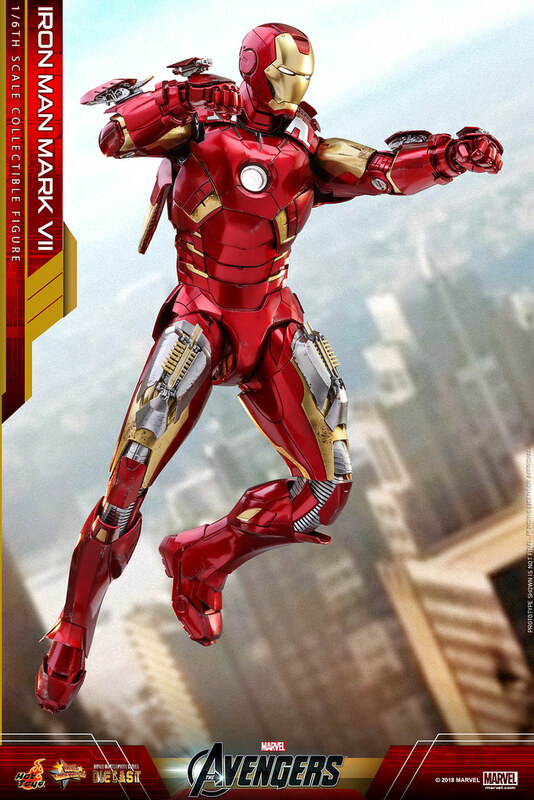 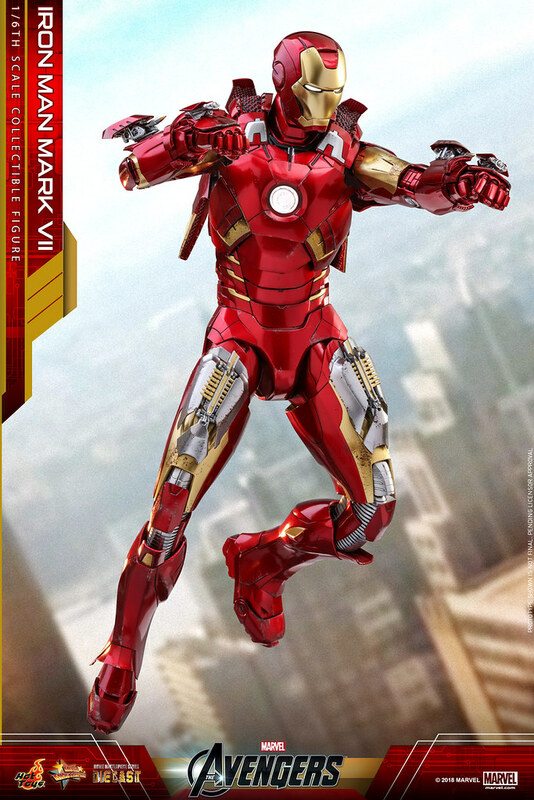 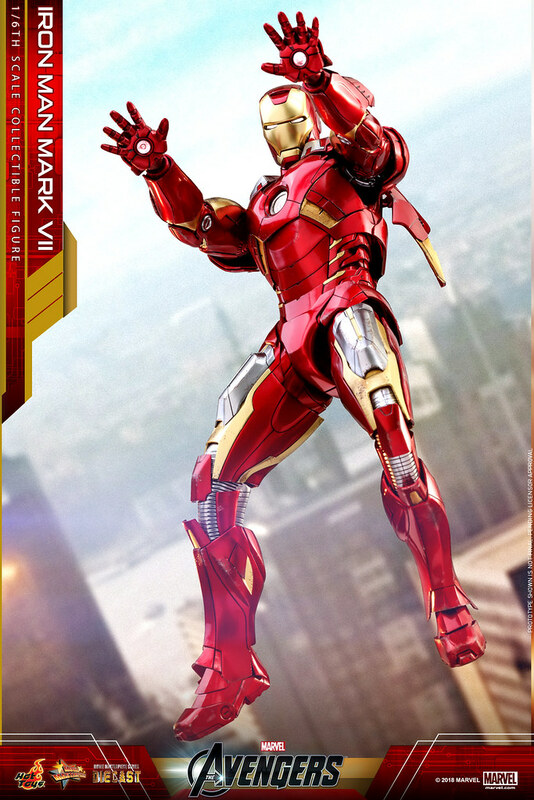 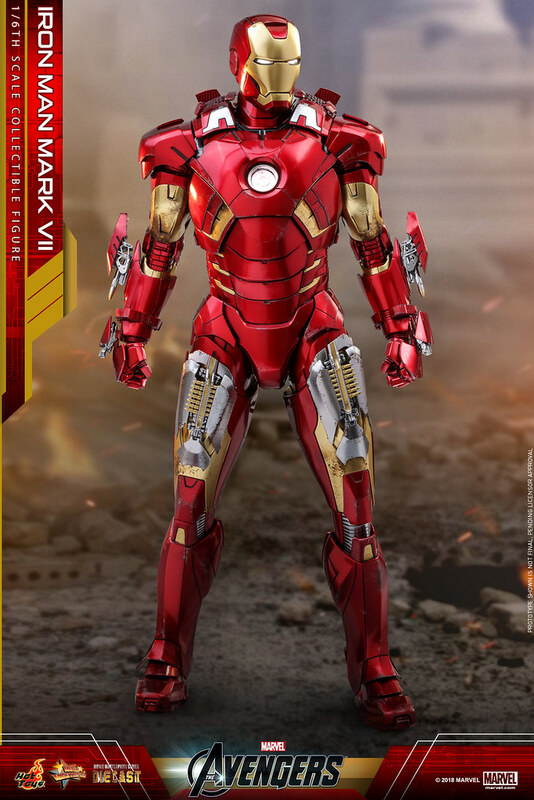 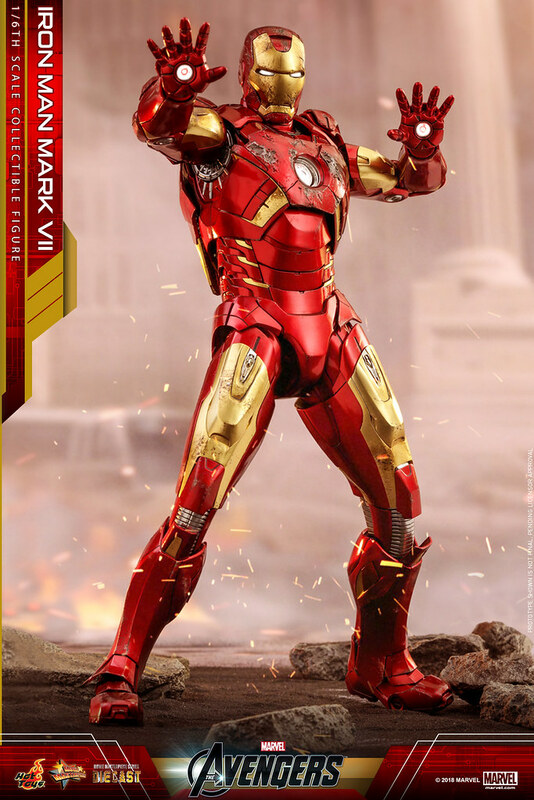 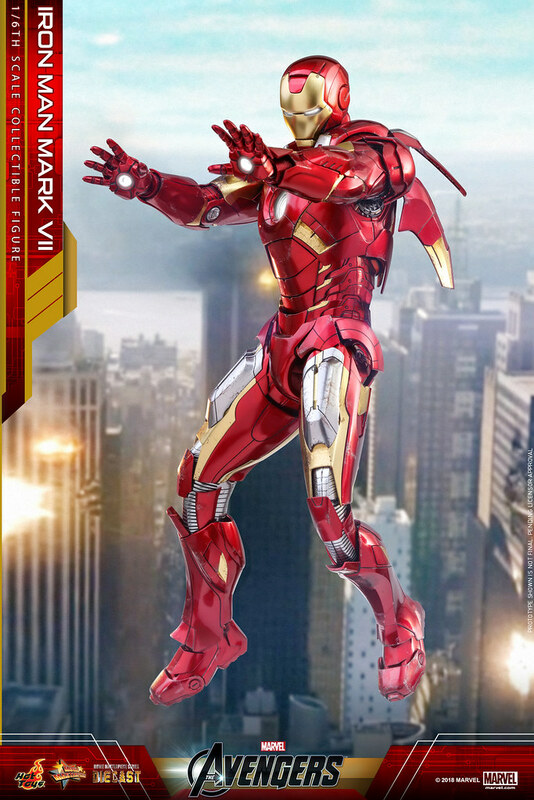 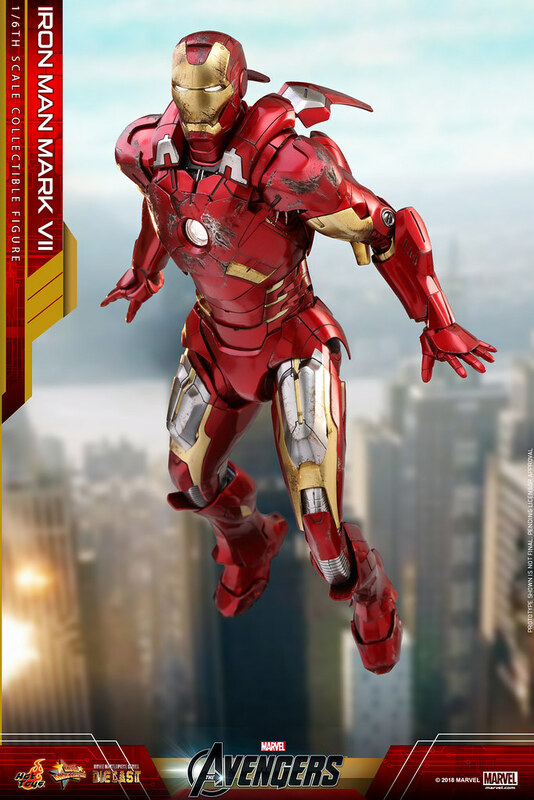 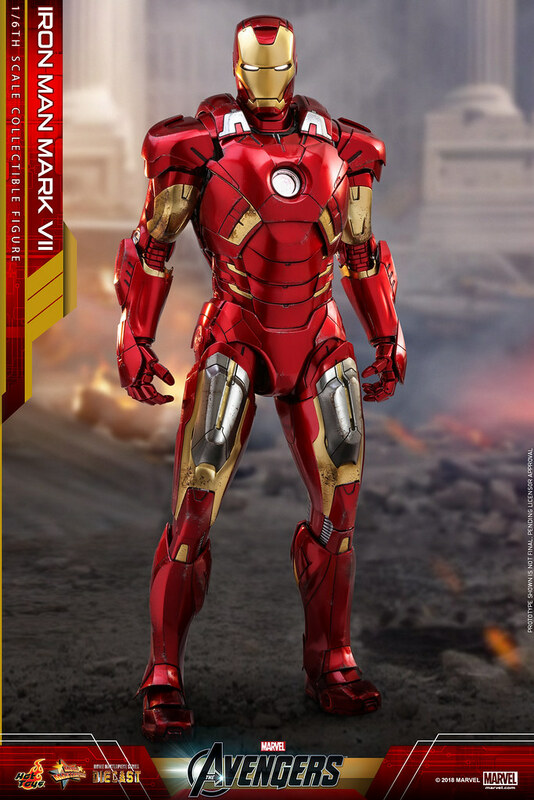 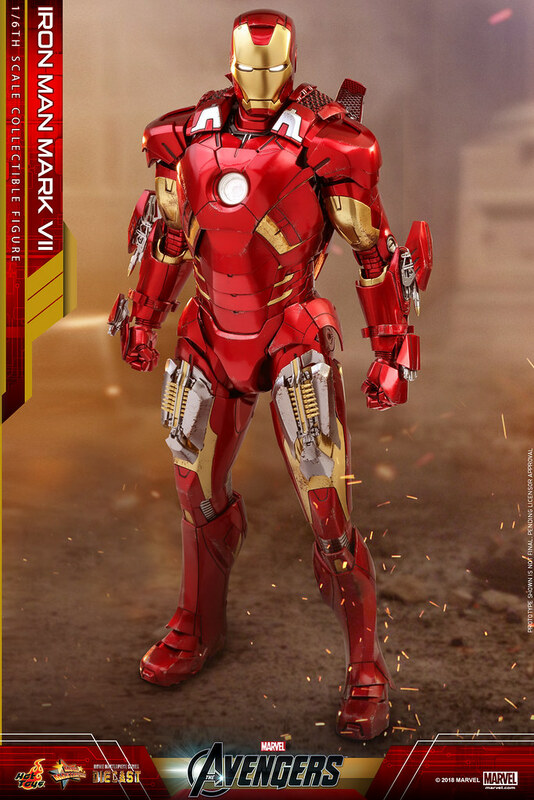 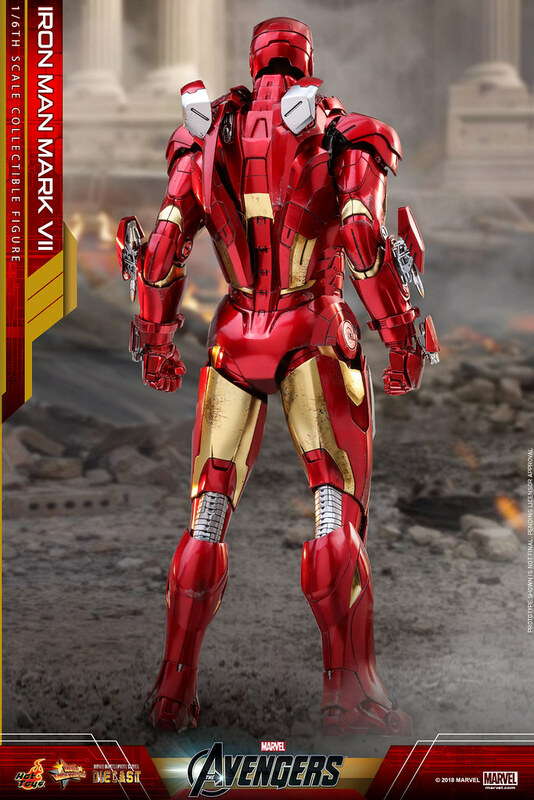 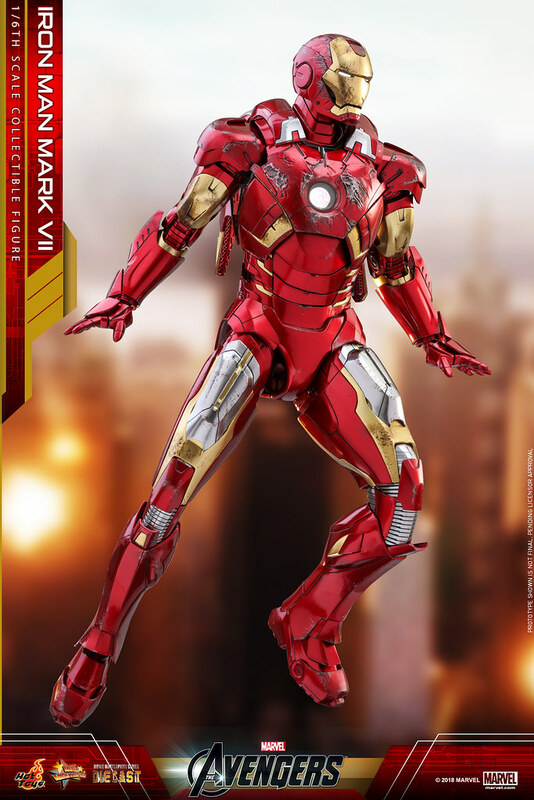 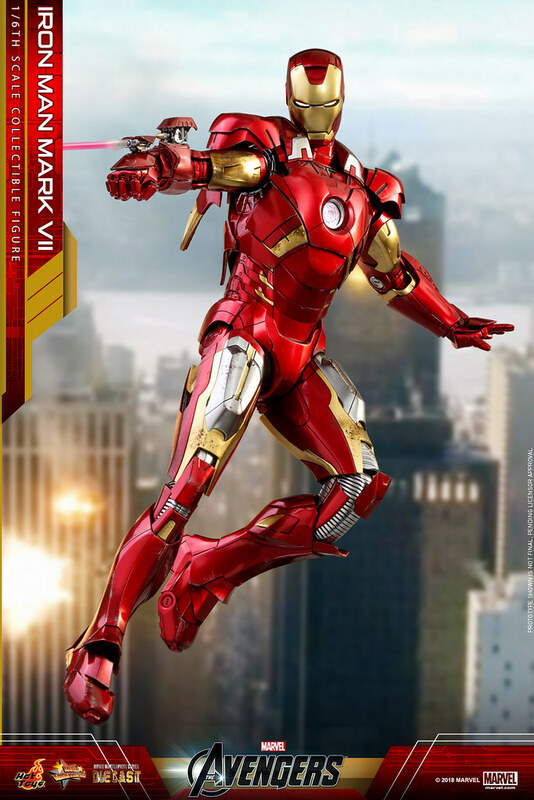 At 12.8" (32.5 cm) tall with over 30 points of articulation, Iron Man Mark VII Sixth Scale Figure is made with die-cast materials, featuring a film-accurate suit pod transformation function. 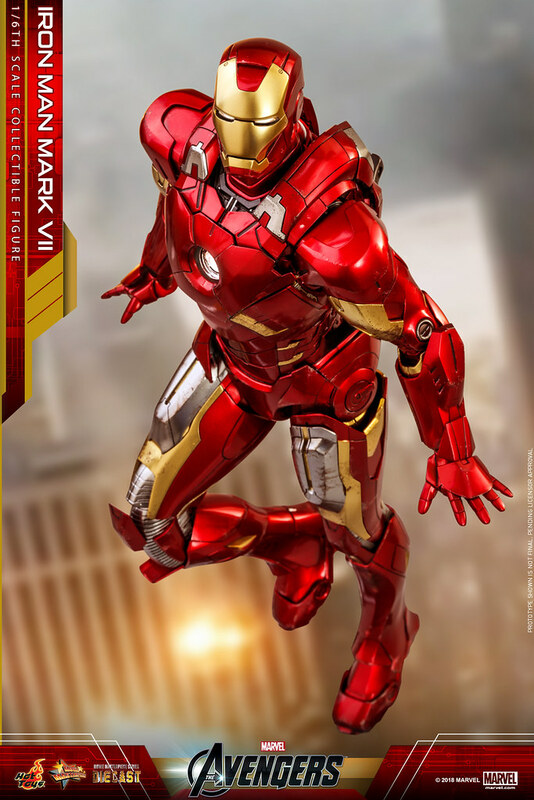 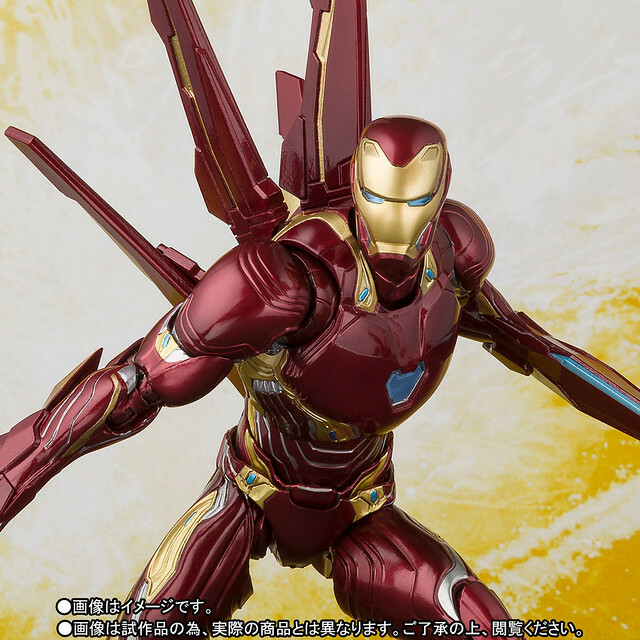 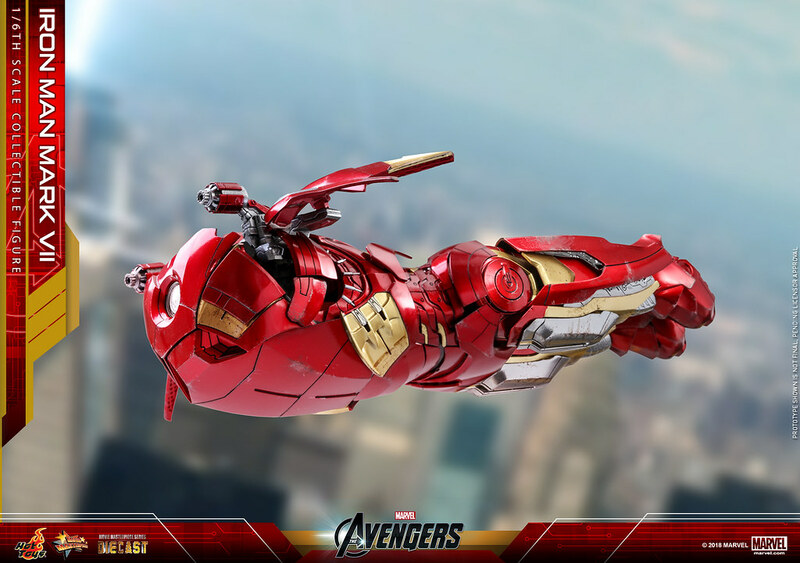 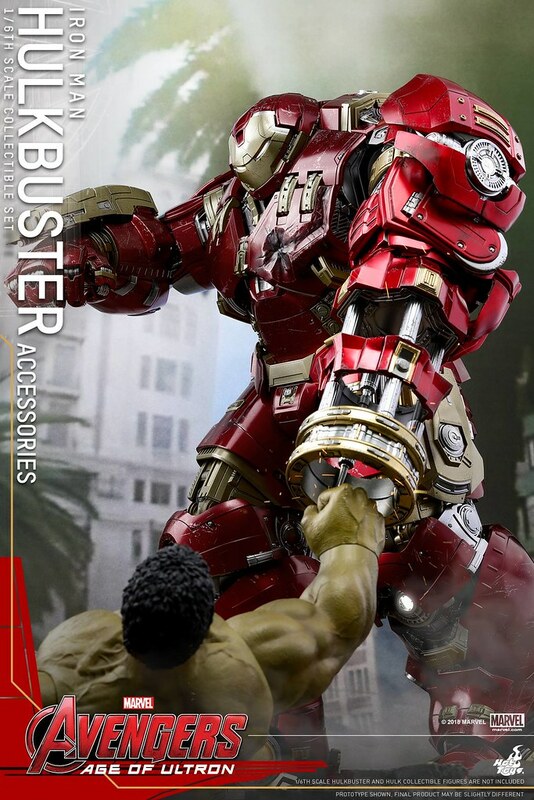 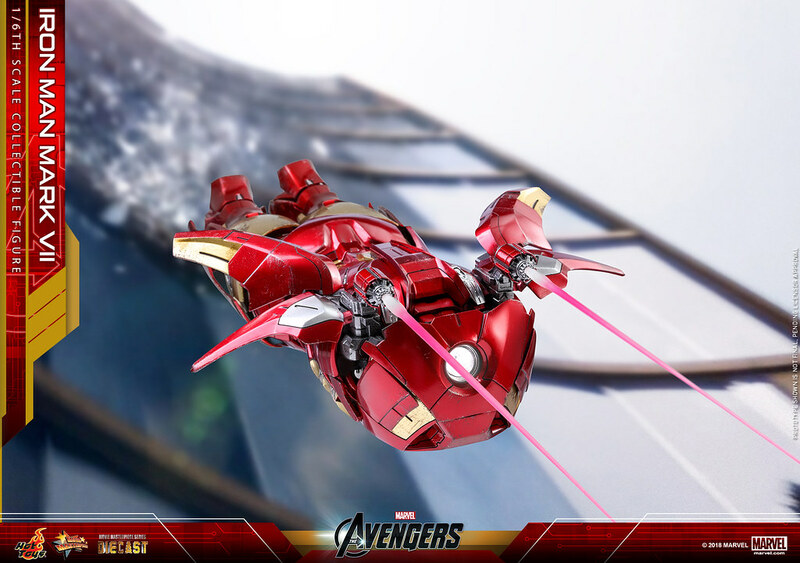 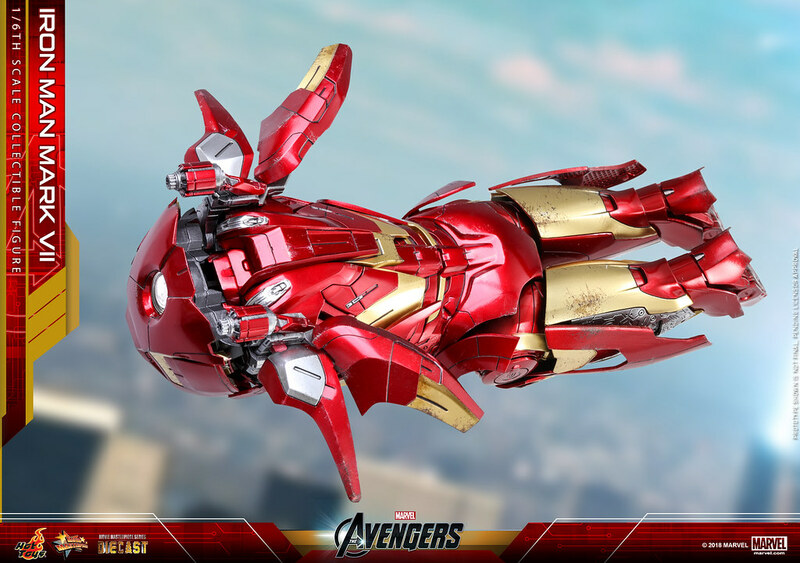 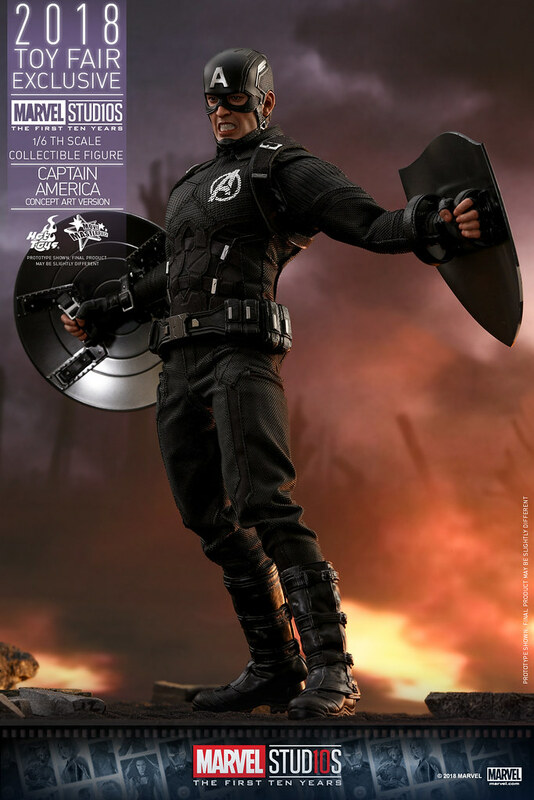 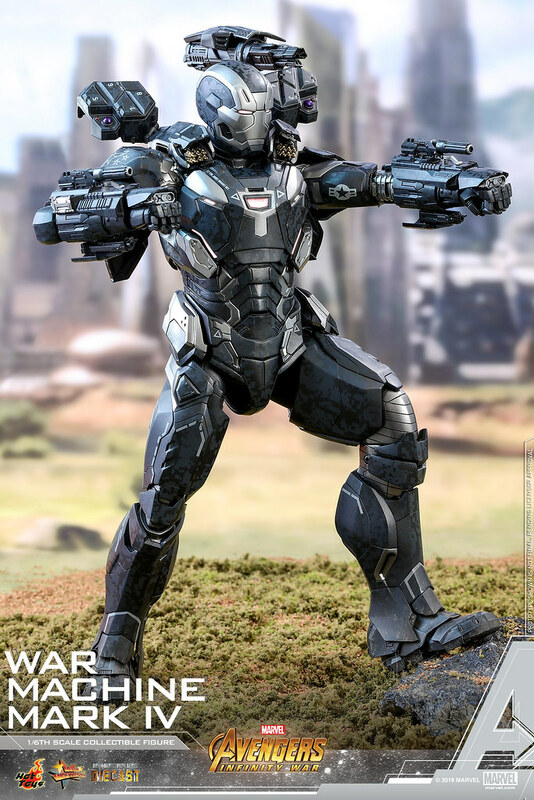 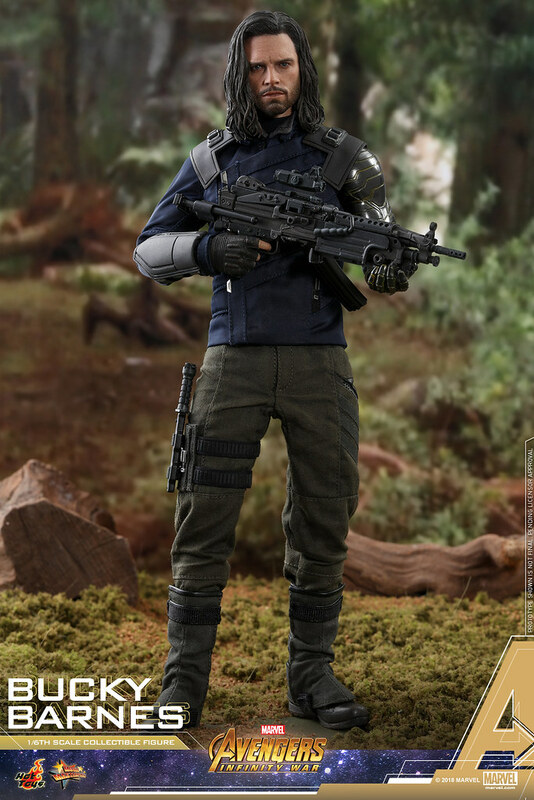 Using interchangeable pieces, you can alternate the Mark VII between its suit pod mode and armor mode, making this the first time that Hot Toys has attempted dynamic armor forms in its collectible figures. 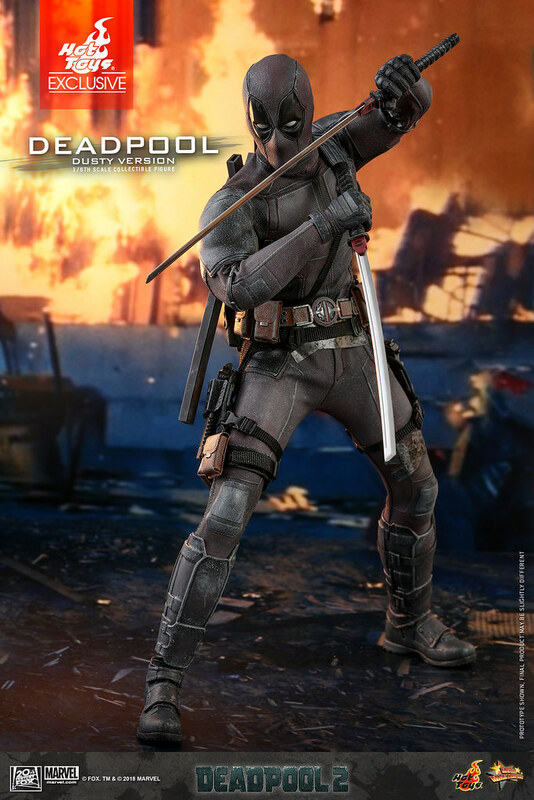 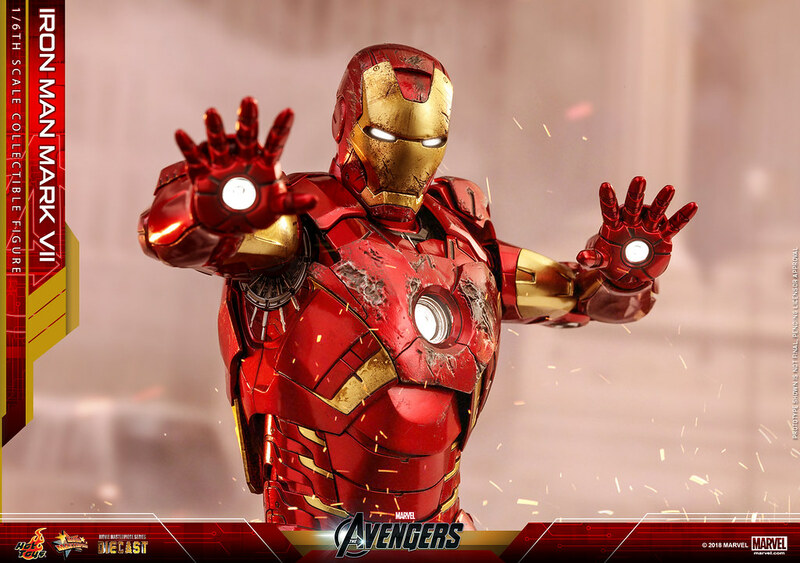 In addition, LED light-up functions are built into the helmet, arc reactor and hand repulsors. 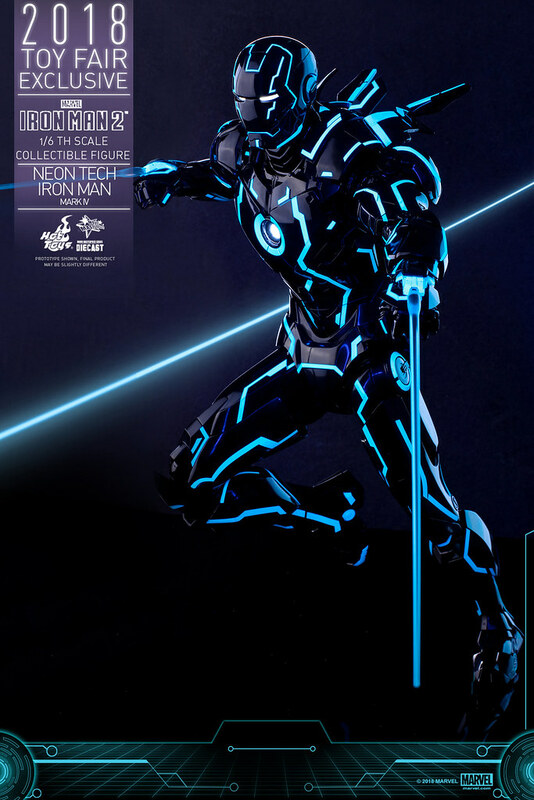 The Special Edition also comes with a bonus Mini suit-pod hologram accessory. 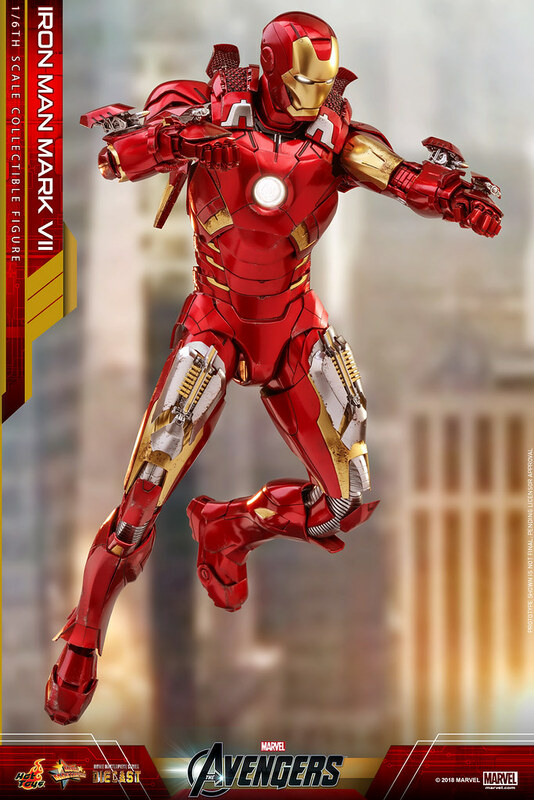 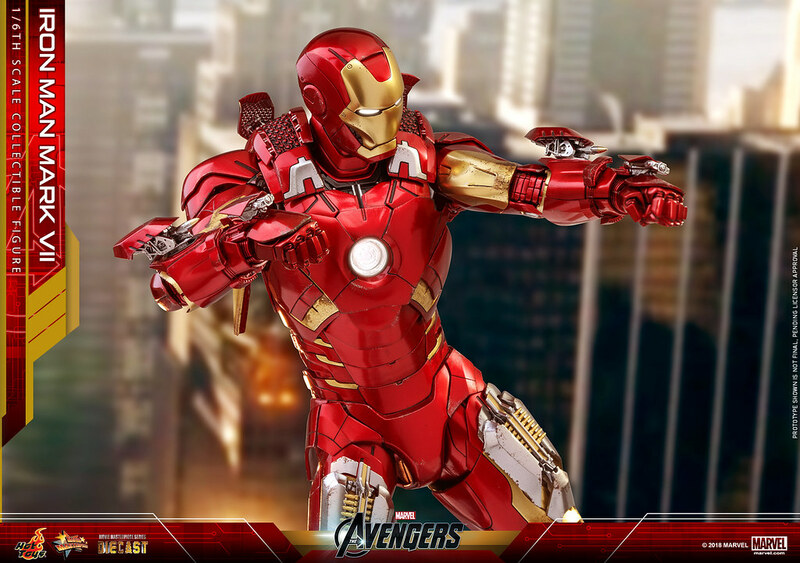 This party is coming to you, so you can recreate all the iconic moments from the film with the Iron Man Mark VII!